Since its foundation in 1972, the DNA of Bertoni has been centred on the craftsmanship of tailoring, and an international design approach. The design is bold and edge seeking in terms of fabric and colours, while the tailoring core and Scandinavian heritage always serves as centre for the development. Know-how on design and construction sits in the house of Bertoni, and none of the suits are made from a standard template. In every step of the journey, from the birth of a product, the brand’s technicians have hands-on in great company of their European manufacturers. This means the product is made with unique knowledge on the production process, fabrics and the perfect fit. Bertoni proudly supply you with the signature Super Stretch Suit, that has a perfect stretch recovery, stretch from inside and out and yarns twisted in one of the best factories in the world. 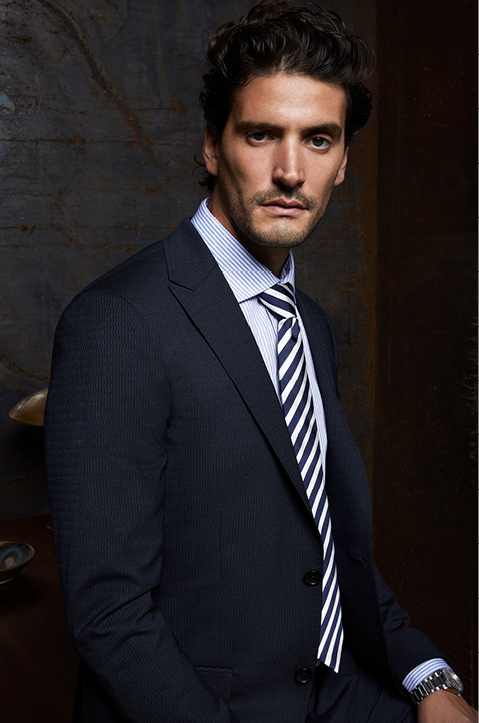 A high performance suit for the high performance you.